The Contour chair was primarily designed as an aesthetic exercise in creating a recess from a simple, primitive form. Beginning with a basic cube the lines 'bend' from the armrest to form the backrest and seat. Starting with a straight line each successive line is extended further below the top extent to make up the void of the chair. 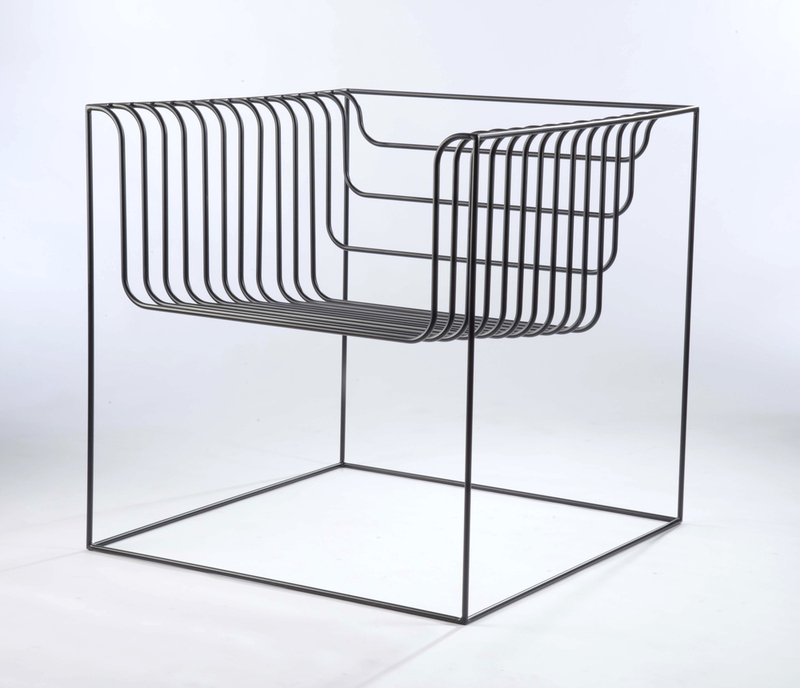 The entirety of the chair was cut, bent, and welded to form a single piece. 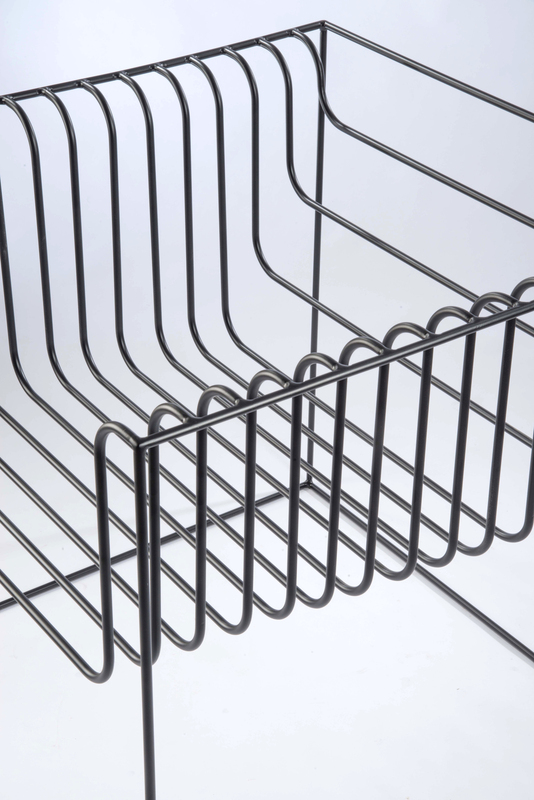 The black powder-coating is intended to reinforce the concept of a three dimensional sketch.